Our emergency rescue team set up their Mobile Rescue Units, loaded with food, medicine and supplies, as temporary shelter to care for pets of evacuated residents until it is safe for them all to return home. We will be there to help through this tragic time, in anyway possible, until we are no longer needed. 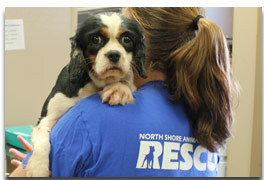 The emergency rescue team will also transport animals to our national adoption headquarters in New York, if necessary. This will open up more space for animals displaced by the wildfires. This helps reduce the chance that lost animals will be euthanized, and ensures that as many owners as possible will be reunited with their pets when the crisis is over. Our hearts go out to the people in these areas of devastation. It’s only through the generosity of our loyal supporters like you, that we can respond quickly and save lives during these natural disasters.